"Maleficent" reviews: Are critics under its spell? Angelina Jolie makes being bad look good in "Maleficent," starring as the titular villainess from the "Sleeping Beauty" tale. The Disney tale, which opens in theaters Friday, is an origins story of sorts for Maleficent, explaining just how and why she became so hard-hearted and evil. Elle Fanning stars as Princess Aurora (while Jolie's daughter, Vivienne Jolie-Pitt, plays her as a young girl) and the film also stars Sharlto Copley, Sam Riley, Leslie Manville, Juno Temple and Imelda Staunton. And while Jolie's performance has earned critical praise, the same can't be said for the film as a whole --- it currently holds a 46 percent rating (aka "Rotten") on RottenTomatoes.com. "No stranger to larger-than-life characters, Angelina Jolie doesn't chew the estimable scenery in 'Maleficent' -- she infuses it, wielding a magnetic and effortless power as the magnificently malevolent fairy who places a curse on a newborn princess. ... A few bumpy patches notwithstanding, the new feature is an exquisitely designed, emotionally absorbing work of dark enchantment." -- Sheri Linden, The Hollywood Reporter. Angelina Jolie on playing the evil "Maleficent"
"Jolie pulls off the thinly written part by adopting a commanding presence. When the role calls for her to bellow the curse, her character vividly comes alive. Disney missed a golden opportunity to tell a bewitching story and instead gives audiences a muddled revisionist tale with stunning visuals." -- Claudia Puig, USA Today. "Debuting director Robert Stromberg has two Oscars for art direction ('Avatar,' 'Alice in Wonderland') and it shows. The downside is that 'Maleficent' is nothing more than a diorama disguised as a movie, a flimsy cardboard thingie that feels untouched by human hands." -- Peter Travers, Rolling Stone. "The characters are boiled down to their essentials, the humor is timelessly broad, and Jolie's at her best when she's curling her claws and elongating her vowels like a black-sabbath Tallulah Bankhead. Unfortunately, the story is more than a bit of a muddle, a string of sequences that shuttle the characters back and forth between the film's sole two locations, a castle and a magic forest." -- Keith Staskiewicz, Entertainment Weekly. "This is Jolie's film because of the Maleficent she makes. Everyone else, even Aurora, fades in her presence. When she is on the screen, she is all you really see." -- Betsy Sharkey, Los Angeles Times. "Consciously or not, coherently or not, 'Maleficent' tells a new kind of story about how we live now, not once upon another time. And it does so by suggesting, among other things, that budding girls and older women are not natural foes, even if that's what fairy tales, Hollywood and the world like to tell us. And while that may sound drippy, it's exactly the kind of hokey that, movie by movie, may finally make a real difference." - Manohla Dargis, The New York Times. "[The film is] dark and brooding and full of aggressive, unsettling impulses. What comic relief there is comes in the form of Aurora's three caretaking fairies, played by the fabulous British actresses Lesley Manville, Imelda Staunton and Juno Temple; Sam Riley is on hand as Maleficent's factotum, a crow named Diaval. But even the enlivening efforts of these fine players are small beer compared with Jolie's imposing bellicosity as a horned, embittered avenging angel." -- Ann Hornaday, Washington Post. "In the end, 'Maleficent' is fun for its appealing visuals -- especially in the forest -- and for watching Jolie. But that's not enough to make the whole film interesting. As the minutes tick by, you might even start feeling a bit like Sleeping Beauty herself comes to feel: Drowsy." -- Jocelyn Noveck, Associated Press. 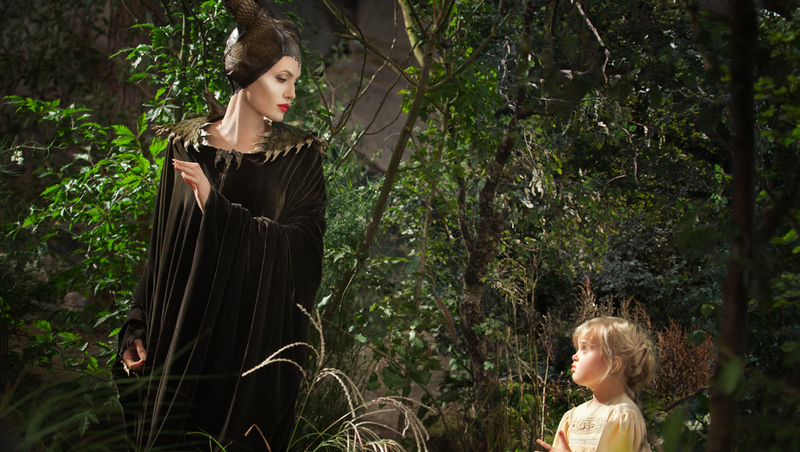 Tell us: Do you plan to see "Maleficent"?